Heart Necklace under a microscope! 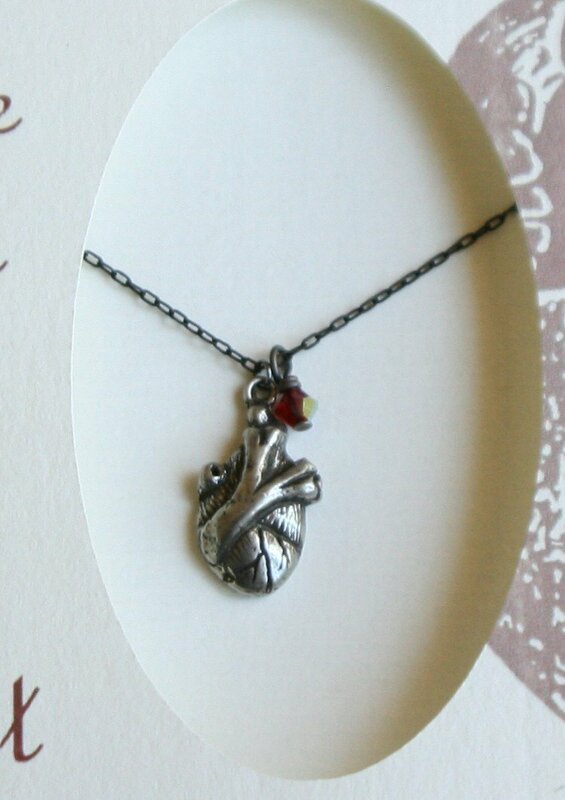 This tiny heart measures less than 1/2 an inch and hangs from an 18 inch sterling silver chain with a small garnet bicone crystal. 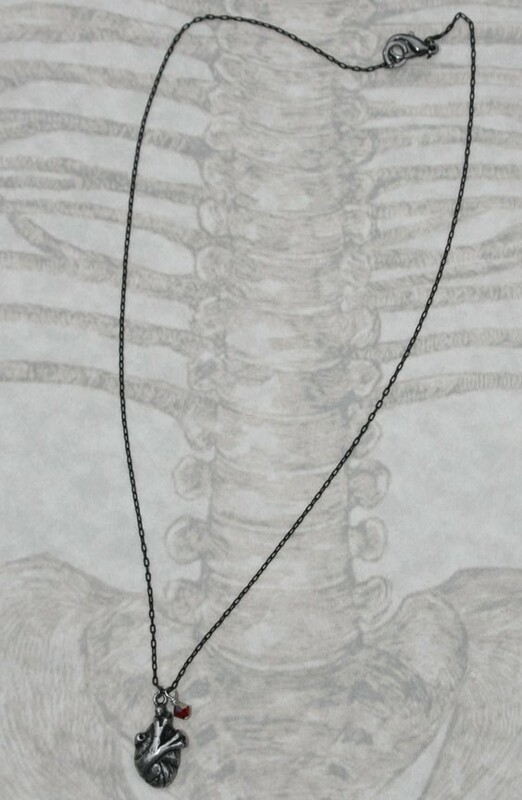 It has been designed for anatomy fans that want to take a more subtle approach to displaying their love for anatomy! It comes packaged in an elegant black glass topped box. Heart measures less than 1/2 an inch. 18 inch sterling silver chain. 18 inch sterling silver chain with a small garnet bicone crystal.